The traffic gridlock in Manhattan’s Central Business District (CBD) has reached a breaking point. There, traffic speed dropped 12% from 2010 to 2015. In 2016, vehicle speeds in the Midtown Core have dropped to 4.7 mph, due in part to the rapid expansion of Uber. A new study has shown that, by 2023, congestion will cost New York City $100 billion. Not surprisingly, congestion pricing has become a hot topic once again. In October 2017, New York Governor Andrew Cuomo assembled the Fix NYC Advisory Panel (Fix NYC), which was tasked to address the worsening traffic congestion in the CBD, as well as identify sources of revenue to fix the deteriorating subway system. Last month, Fix NYC’s final report was released, and it included recommendations to tackle these issues through a phased approach. Phase One (2018) calls for public transit improvements in the outer boroughs and suburbs, stricter traffic law enforcement, a NYC placard program overhaul, reform of the NYC Taxi and Limousine Commission (TLC) and bus congestion mitigation. Phase 2 (2019) proposes a surcharge for taxis and for-hire vehicles (FHVs), and Phase 3 (2020) includes the implementation of a pricing zone within the CBD. The proposal for implementing congestion pricing in NYC is hardly novel. In a number of other cities such as London, Stockholm, and Singapore, many claim congestion pricing has been successful, achieving most of what it was intended to do. In London, more passengers are using public transport than before the congestion plan went into effect in 2003, and £148 million ($240 million) was raised as revenue in this city’s 2009-10 fiscal year, which was devoted wholly to improving the mass transit system. Two-thirds of Londoners polled approved of the charge. At this time, London has experienced a 20% reduction in traffic volume, a 30% increase in average speeds, and a 20% decrease in carbon emissions. Planning ahead, a new emissions surcharge (T-Charge) would be introduced in Central London by 2019 as part of the city’s Ultra Low Emission Zone (ULEZ) initiative. There have been attempts to institute congestion pricing in NYC. In 2006, the Citizens Budget Commission made a proposal for congestion pricing. A year later, Mayor Michael Bloomberg included congestion pricing as part of his PlaNYC proposal. Bloomberg’s plan almost took off. There were hundreds of millions of dollars in federal money available to support the program. The plan was approved by the New York City Council and garnered support from scores of elected officials, business leaders, and environmental groups. 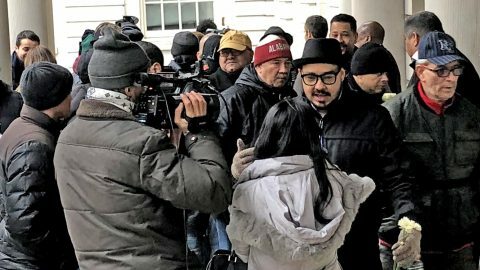 But, after traveling from New York to Albany, it was eventually not passed by the New York State Assembly members from the four outer boroughs and neighboring suburban counties strongly objected. In 2008, another proposal was advanced by then Lieutenant Governor Richard Ravitch, but nothing came out of it. 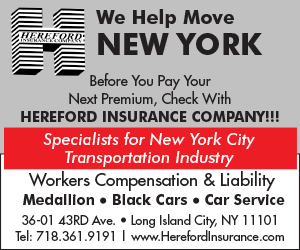 In 2015, a bill was proposed in the New York City Council to temporarily limit the issuance of new FHV licenses, pending the findings from a congestion study commissioned by Mayor Bill de Blasio. However, the proposal was dropped after it ignited a backlash from Uber, and the report concluded that app-based FHVs did not drive an increase in congestion in the CBD. Also, in 2015, “Gridlock” Sam Schwartz (a legendary traffic engineer in NYC) introduced a proposal called MoveNY. 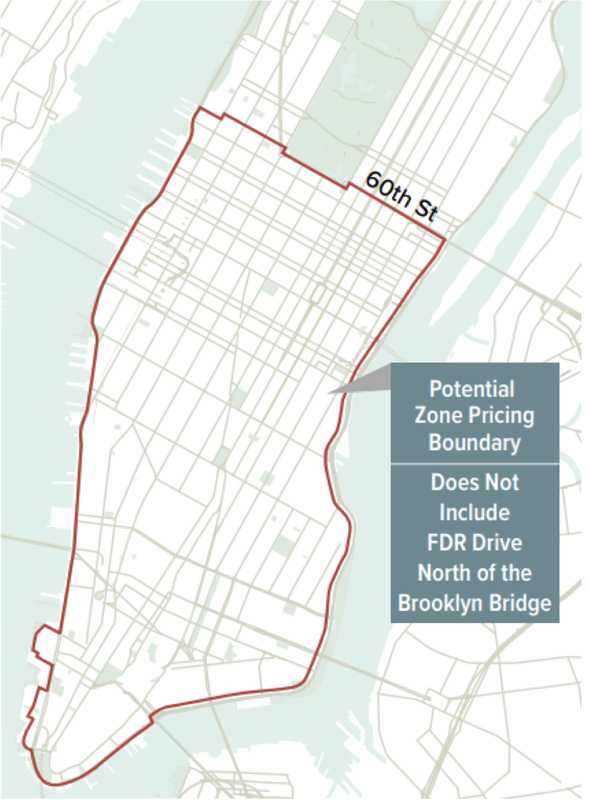 Schwartz’s plan included tolls on the currently untolled East River bridges and a cordon charge at 60th Street to be applied in both directions at a charge of $5.76 each way (for a total trip charge of $11.52). Essentially, this plan eliminates the common practice of “bridge shopping,” where car and truck drivers weave their way around the City to utilize the cheapest crossing into the CBD. MoveNY’s proposal equalizes the total fee paid by drivers to enter and exit the CBD at about $11.50, no matter which crossing is chosen. The Schwartz plan also charges FHV trips in the CBD below 96th Street, based on time and distance traveled, and reduces tolls on MTA bridges located outside of the CBD. Like other previous plans, MoveNY dedicates most of the revenue collected net of toll reductions toward transportation improvements, including MTA system upgrades and certain road and bridge repairs. The MoveNY plan estimated congestion reduction to be 20% upon full implementation. Although previous congestion pricing plans in NYC included a cordon around the CBD, they differed in terms of cordon fees and toll offsets. Back then, and even today, the pricing scheme for the East River bridges is currently inequitable and inconsistent. This comes about because of the actions of three men. The first is Mayor William Gaynor, who – in 1911 – removed all the toll booths at the Brooklyn Bridge, Manhattan Bridge, Williamsburg Bridge and Queensboro Bridge. Along came Robert Moses, the master builder who built and implemented tolls on seven new bridges (and tunnels). The toll revenues collected were initially meant to pay for the maintenance of these bridges, but when Governor Nelson Rockefeller incorporated the Triborough Bridge and Tunnel Authority (TBTA) into the Metropolitan Transportation Authority (MTA) in 1968, some of the toll revenues were channeled to fund public transit instead. As a result of the framework created by Governor Rockefeller, every time public transit needed money, people would be charged at the TBTA bridges, but not the East River Bridges. The inequitable toll system eventually became a catalyst for “bridge-shopping” as 40,000 cars, trucks and buses hop off the Long Island Expressway, Grand Central Parkway and Brooklyn Queens Expressway onto city streets just to use the toll-free Queensboro Bridge. The results: pedestrian casualties; excessive vehicle miles traveled; noise and air pollution. Another case of bridge-shopping would be five-axle truck drivers from Flatbush/Atlantic Ave who, instead of using the highway system to cross the Verrazano Bridge ($92 toll) followed by the Goethals Bridge to get to Newark Airport, opted to cross the Manhattan Bridge (FOC) and drive through Chinatown, Tribeca and Little Italy via Canal Street before crossing Lincoln Tunnel. 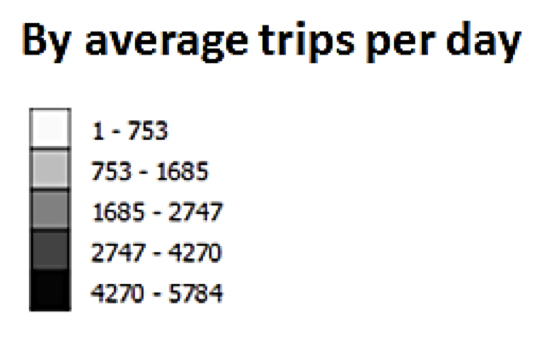 The results: ever more vehicle miles traveled and pollution. Once the design, planning, construction and environmental assessment of the zone infrastructure are completed over a period of 24 months, trucks would be the first to be charged, specifically a one-way E-ZPass charge of $25.34, once per day, Monday through Friday, between 6am and 8pm. Fix NYC recommends that first, no earlier than 2020, trucks be charged since truck emissions account for 18% of total emissions from the transportation sector in NYC. After a trucks-only test period, automobiles would be charged $11.52 “once a day to enter the pricing zone.” These charges are estimated to generate gross revenues of $105 million from trucks and $705 million from autos for a total of $810 million, which would be used to fund MTA transit improvements. In addition to these revenues, the program incentivizes auto drivers to shift to other modes of transportation; and commercial drivers to make deliveries during off-peak hours. Thus far, Fix NYC has not finalized the pricing hours (6am-8pm or 6am-11pm) and days (Monday-Friday or Monday-Sunday) in addition to whether there will be any credits for drivers crossing the tunnels. While Uber claims that it has served the city at large, the reality paints a different picture. Over the past few years, Uber has largely served, ironically, the areas where transit is abundant, congestion is worse and/or the wealthiest people live (see Figure 3). 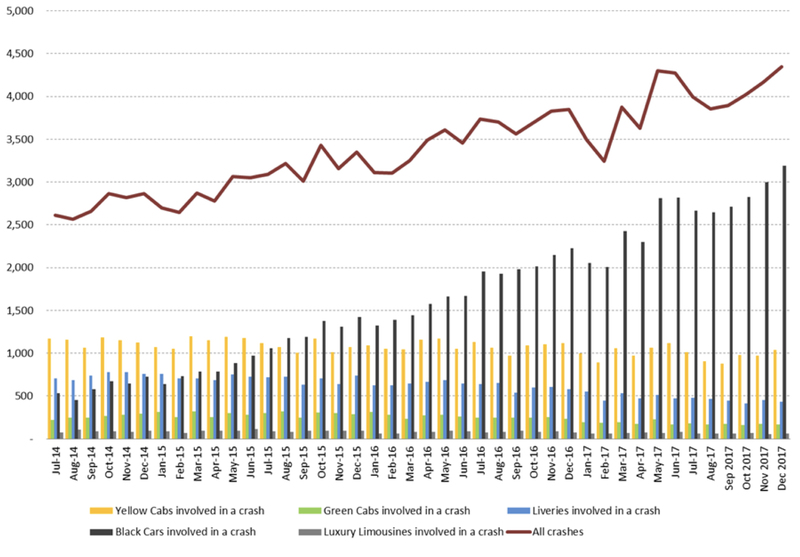 Additionally, there has been a steady increase of black cars’ (mostly Uber) share of TLC-regulated vehicle crashes from 2014 to 2017 (see Figure 4). Thus far, Fix NYC has not finalized the geographical boundary of the surcharge (either 60th Street or 96th Street), the amount of the drop surcharge (between $2 and $5), surcharge for cruising/idling, discount for pooled trips, the hours (6am-8pm or 6am-11pm) and days (Monday-Friday or Monday-Sunday) the surcharge will be in effect. 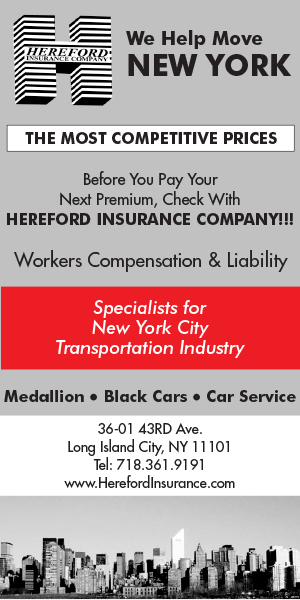 Fix NYC has, however, determined that the affected companies be given a period of 10 months to install the necessary on-board equipment for the surcharge. As an equitable proposal, Fix NYC has made it clear that congestion pricing must not over-burden any subgroup. Data pertaining to the median incomes of car owners and non-car owners have shown that choice riders (people who own cars yet use public transit) will only need to fork out 3.5% of their income ($3,000 out of $85,000) for congestion fees. Of the 118,000 outer borough working residents who drive to Manhattan to work, less than 5,000 (or 4.2%) qualify as working poor. Census data has also shown that 18 times more commuters would gain from transit improvements than would likely pay new tolls. The working poor would benefit by a margin of 38 to 1 from congestion pricing. Many industry groups are calling for equity in terms of equal fees for all sub-modes to be passed along to passengers uniformly. 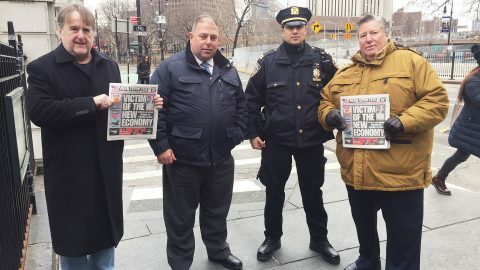 However, yellow cab industry advocates believe they have paid their fair share to the MTA already through the $0.50 MTA taxi surcharge over many years, which is estimated to have cost taxi passengers over $621 million to date. Traffic congestion in NYC has reached such a dire state that many believe it is absolutely critical to address this issue now. 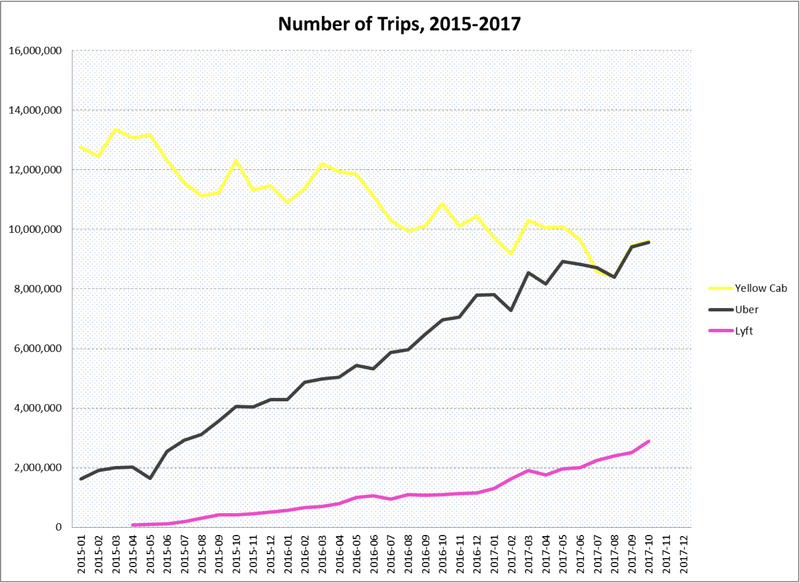 Still, at the end of the day, it remains unclear if congestion pricing might actually reduce the number of Uber and Lyft vehicles, which is a key reason why the CBD is experiencing the slower travel times and increased congestion since 2012. 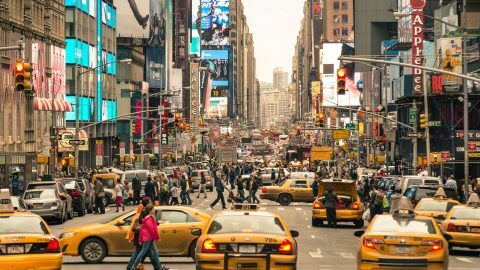 3. empowering the NY State Departments of Transportation and Motor Vehicles to jointly perform a comprehensive study to make recommendations on congestion in Manhattan (from the operation of commuter, intercity, charter and sightseeing buses).